Carbonite can be paused from within the Carbonite application. 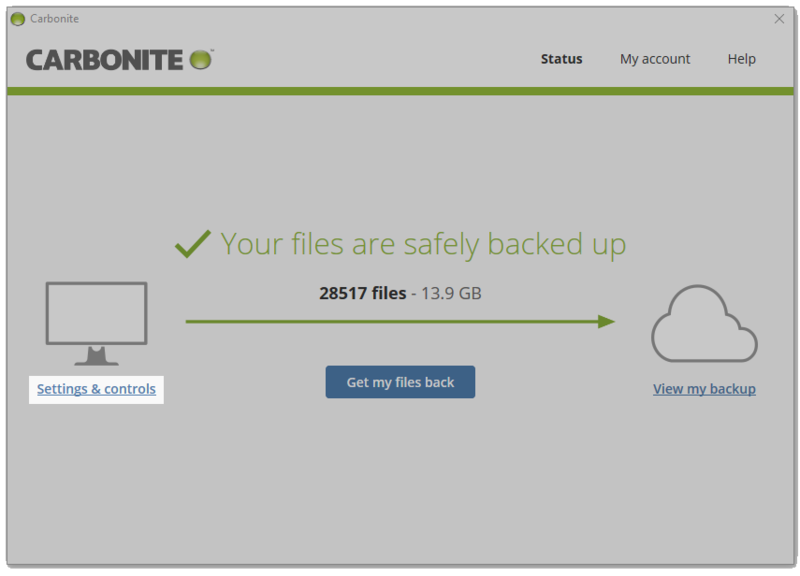 When paused, Carbonite will not perform backup operations; however, Carbonite will still scan your system for any new or changed files. 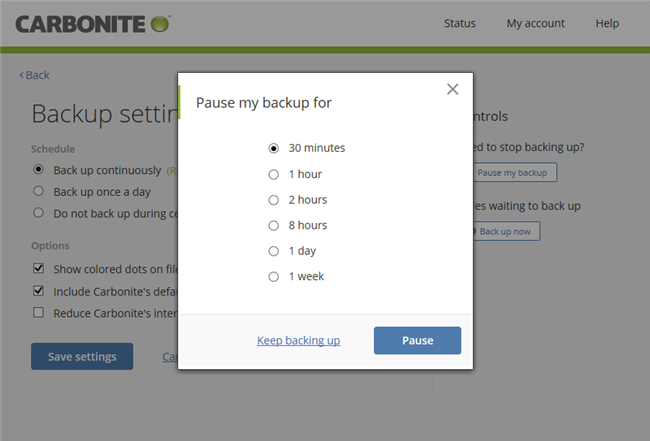 If you want to pause Carbonite because you are planning to travel, or turning off your computer for an extended amount of time, you can enter Recover Mode to manually stop the backup. 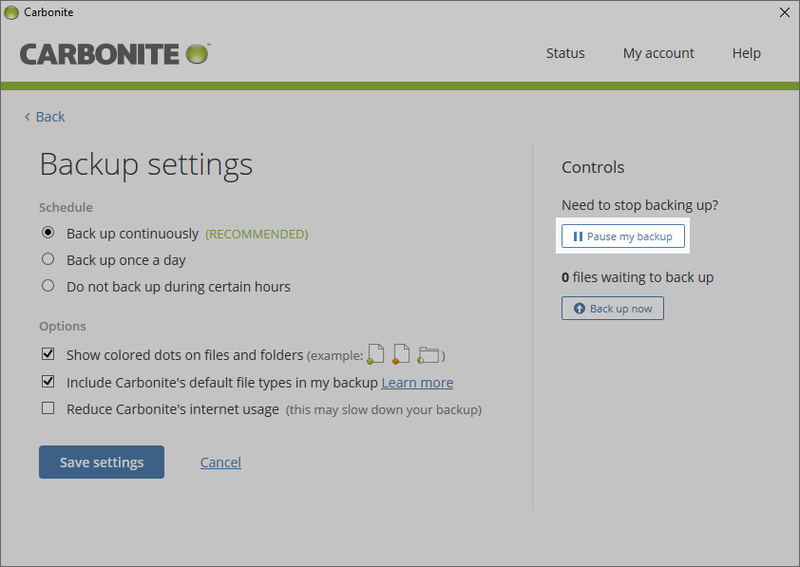 Within the Carbonite application, click the Settings & controls link. On the Backup settings page, click the Pause my backup button. A pop-up notification will appear with the option of pausing Carbonite for 30 minutes, 1 hour, 2 hours, 8 hours, 1 day and 1 week. After making your selection, click Pause. While Carbonite is paused, a pause symbol (two vertical grey bars) will appear on the Carbonite icon in the notification area. 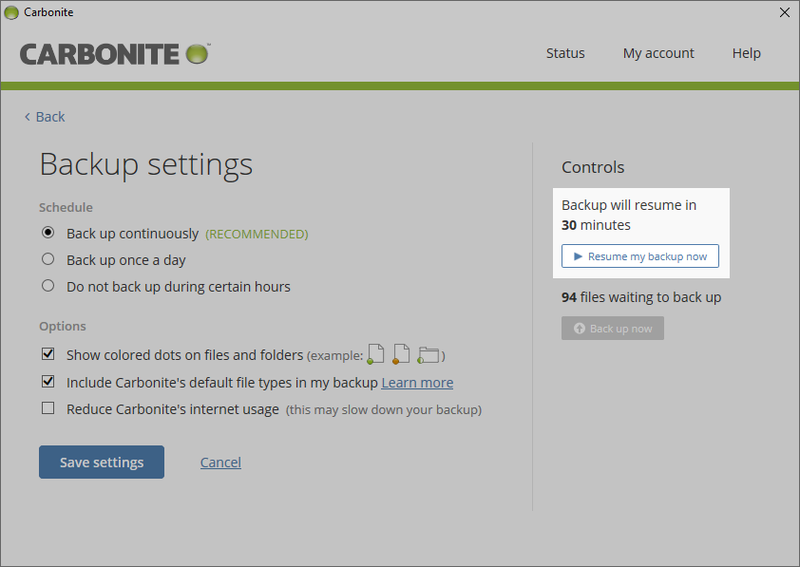 A notification from the Carbonite application will indicate how long the backup has been paused for. If you click Resume backing up, your normal backup operations will resume. Otherwise, the pop-up will disappear within a few seconds. You can also resume normal backup operations by clicking Resume my backup now on the Backup Settings page.